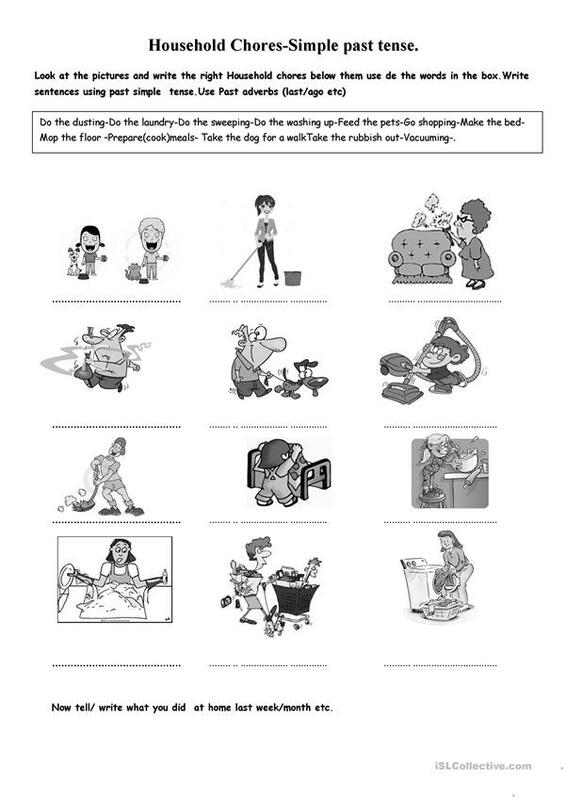 Colour and B&W ws to practise simple past tense. Students have to tell/write what they did at home using adverbs connected with past tense. They can also roleplay the different actions.. This downloadable handout is intended for elementary school students and students with special educational needs, learning difficulties, e.g. dyslexia at Elementary (A1) and Pre-intermediate (A2) level. 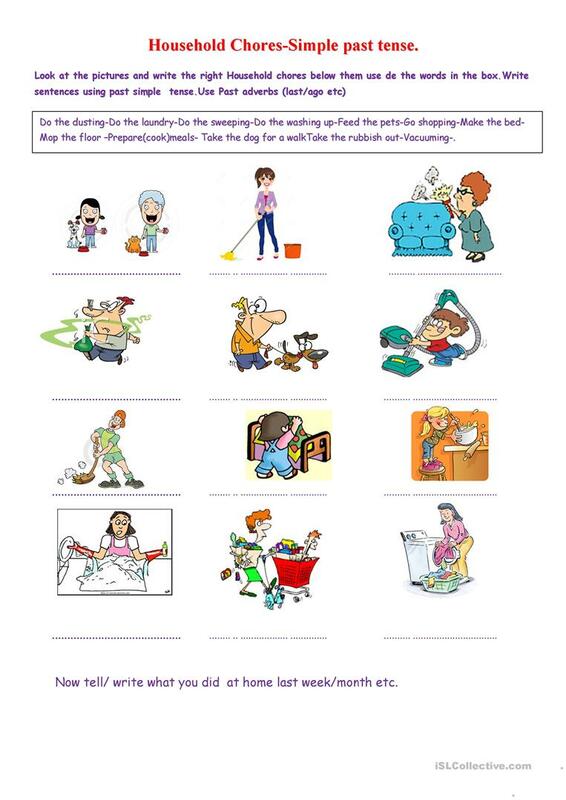 It is valuable for practising Past simple tense in English.